Take your favorite athlete with you wherever you go! 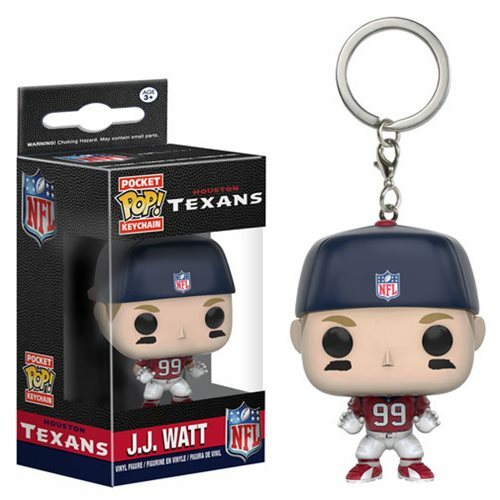 This NFL J.J. Watt Pocket Pop! Vinyl Key Chain features the star defensive lineman of the Houston Texans as an adorable key chain! Key Chain measures about 1 1/2-inches tall and comes with an attached key ring and window display box. Ages 3 and up.